It's time to give some love to my favorite companies for the first half of 2018! These companies have the distinct honor of being great to work with, along with outstanding customer service, amazing products, and doing what it takes to stay relevant and in-demand for a long time to come! 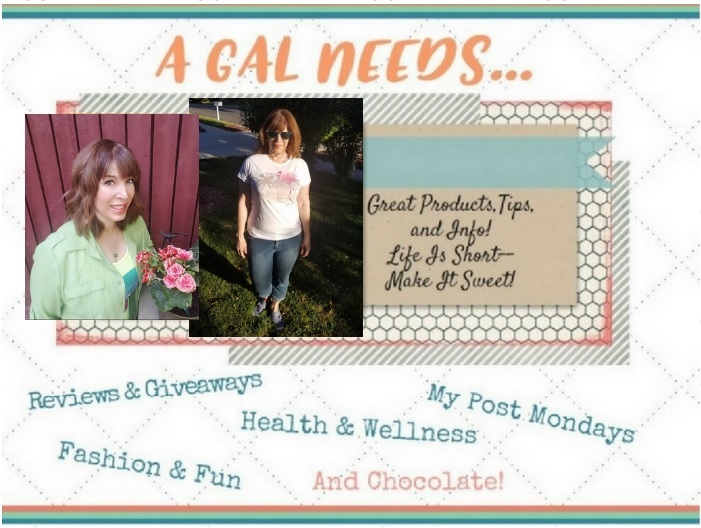 These companies have my A GAL NEEDS...stamp of approval!!! A company that searches for the best and most naturally organic skin products available and brings them to you all in one place! Their newest products are a group of suncare and repellent products that are totally organic and very effective, called Butterbean. The skincare line that they make available from the UK has received global Cosmos Organic Certification.. It is called InLight. I was able to review the Under Eye Revive and I absolutely loved it! One of the reasons I love winter and spring is because I get to wear tights! 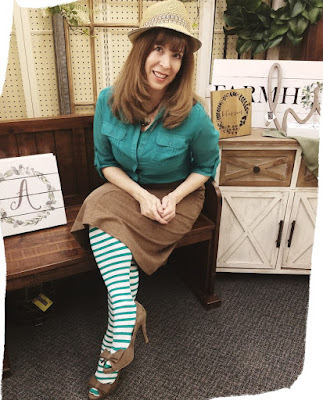 And the tights I love are the ones from We Love Colors! With over 50 colors to choose from and styles that include patterned tights, fishnet tights, leggings, thigh highs, knee highs, socks, gloves, dancewear, and activewear! They are soft yet so durable! It's one more reason to look forward to winter! Goliath Games is a Family-owned Game and toys creator since 1980 and has realized great success in marketing and creating fun family entertainment. They acquired Pressman Toys in 2015, one of the most prolific board game companies in the U.S. since 1920. Together they are continuing to dominate the family game night scene and game nights are more important than ever. If you haven't played Rummikub, Tri-Ominos, Pop Rocket, or Kids Know Best, you've got to try them out! This pain relief company is serious about making pain relief manageable. Whether you have a sports injury, chapped lips, arthritis, or cramps, they've got a product just for you. The thing I like so much about their products is that they don't smell like your typical pain products. They smell good---really good! 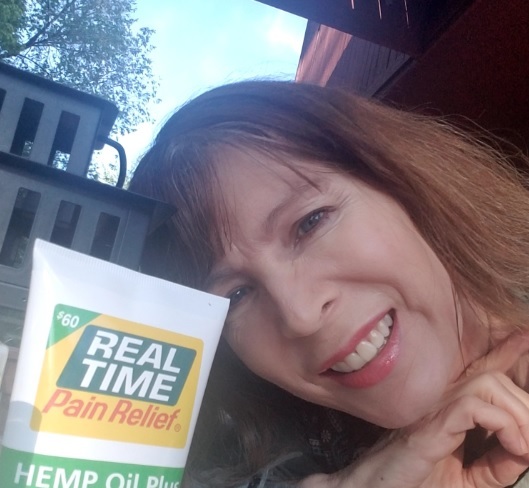 Their Hemp Oil Plus is the best! A pure and organic extract of Industrial Hemp, it is legal nationwide. Now the medicinal benefits of hemp can be yours along with 18 other natural ingredients such as turmeric, wasabi, and peppermint! Before Cariloha was established in 2007, it seemed like bamboo was mainly known as a stubby plant growing in the swamps of 3rd World Countries! Sometimes you heard about bamboo furniture or chopsticks made from bamboo. Now, bamboo is known to be one of the most sustainable plants in existence and can be made into an infinite amount of products. 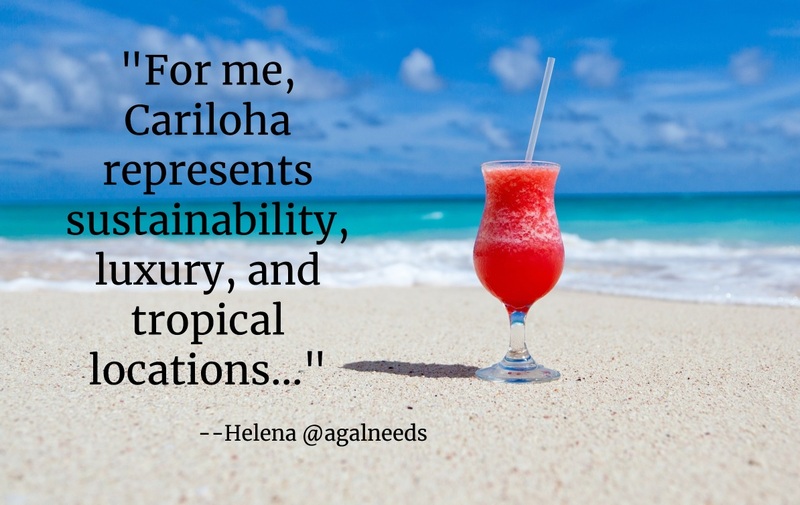 Cariloha has really done its part to tout the benefits of bamboo to the world, while giving jobs to many bamboo growers, producers and manufacturers. Cariloha's creator and CEO, Jeff Pederson, won Ernst and Young's Entrepreneur of 2018! With its many stores located at choice tropical destinations all around the world, one can take home memories of the tropics with a luxurious towel set, fine bamboo sheets, or bamboo clothing. Both cooling and incredibly soft, it adds an extra benefit of being antibacterial. If you don't happen to be aboard a luxury yacht or cruise line at a port of call where one of their stores is located, don't worry! You can always buy it online! There are always sales going on, and purchases over $100 means free shipping! Not lying when I say I've ordered quite a few bamboo beauties of my own from Cariloha! So, if you haven't checked out these fine companies yet, I warmly invite you to do so now! And while you're doing that, show them some love on their social media and also enter my $30 PayPal Giveaway. It's my way of saying thank you all the way around! 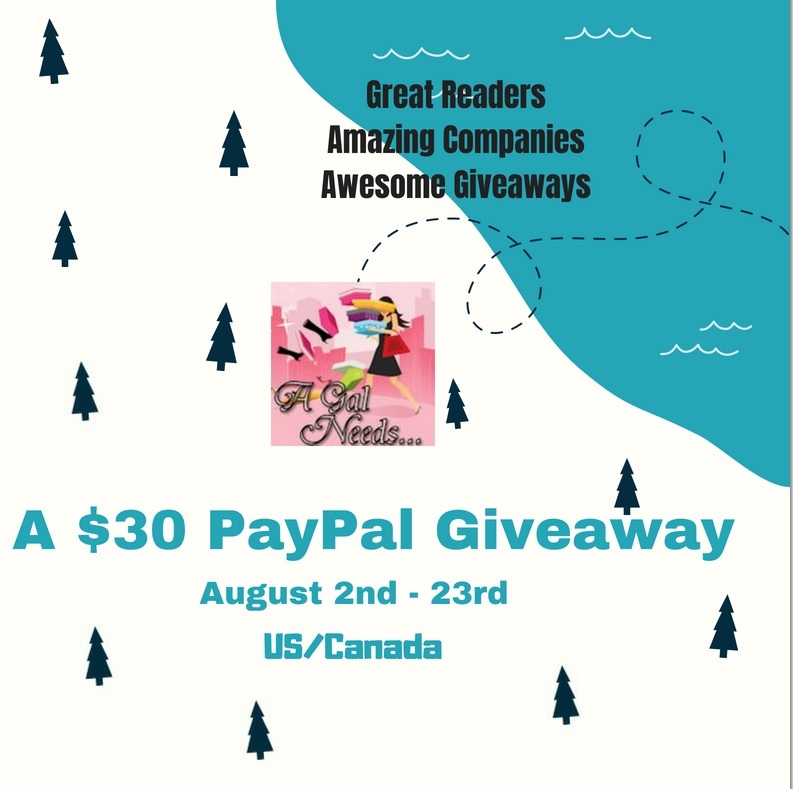 Great readers, amazing companies, and awesome giveaways! Enter in the Rafflecopter below. Open to U.S. and Canada. All entries will be verified. Ends on August 23rd! Disclaimer: Affiliate links may be present. No Facebook, Twitter, Pinterest, Instagram, nor any other social platforms are involved in any way! after 08/23/18. 1 entrant per household please and must be a resident of U.S.or of Canada. Must have a PayPal Account. Must respond within 48 hours. Entrants with invalid entries will be disqualified. A GAL NEEDS...is responsible for delivery of cash prize.